What Is the Shelf Life of Black Pepper? Grown primarily in the warm, humid climates of Southeast Asia, as well as in Madagascar and Brazil, black pepper (Piper nigrum) is one of the most well-known and commonly used spices. Black pepper is used to flavor nearly every dish imaginable, even sweet baked foods such as cakes or cookies. When properly stored, whole black pepper lasts two to five years, while ground black pepper has a shelf life of six months to two years. 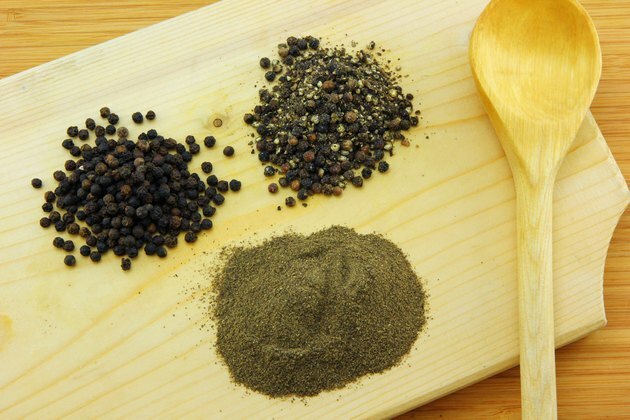 Black pepper is available as whole peppercorns, crushed or ground. While crushed or ground black pepper is convenient, grinding whole peppercorns just before use provides the best flavor and aroma. Whole pepper keeps its flavor longer and you can buy it in small quantities or in bulk. Check the "used by" date on the container to ensure you're buying fresh pepper. 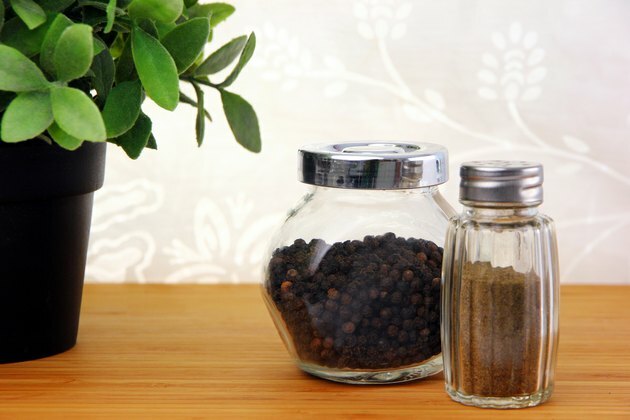 Keep black pepper fresh in a tightly covered, airtight container. A container with a screw top is better than a flip-top container, as the flip top allows air and moisture in. If you use a pepper grinder, put only a small quantity in the grinder because it will lose flavor in the grinder. Store black pepper in a dry, cool, dark place such as a drawer or cupboard. 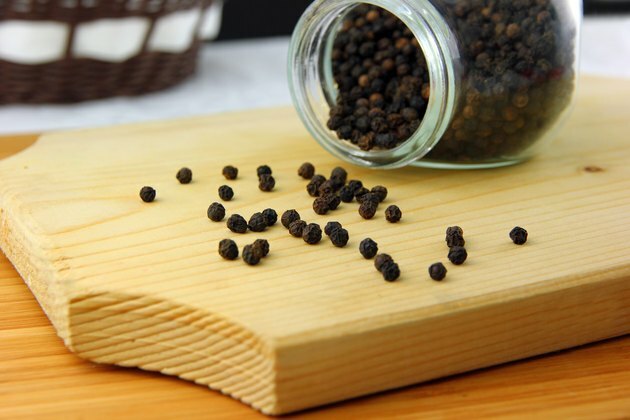 Avoid storing black pepper near your refrigerator, sink, dishwasher, microwave or stove, as heat, light and moisture cause the aromatic oils in the pepper to evaporate. Although spice racks near your stove are handy, your spices won't last as long there. 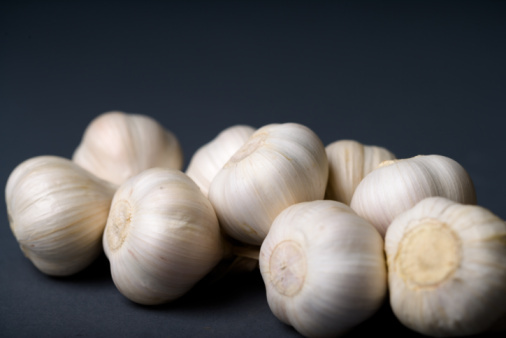 Black pepper is most effectively added when the food is nearly cooked, or just before serving. When adding pepper to food, avoid holding the storage container directly over a steaming pot, as moisture will enter the pepper container, which makes it lose its flavor faster. 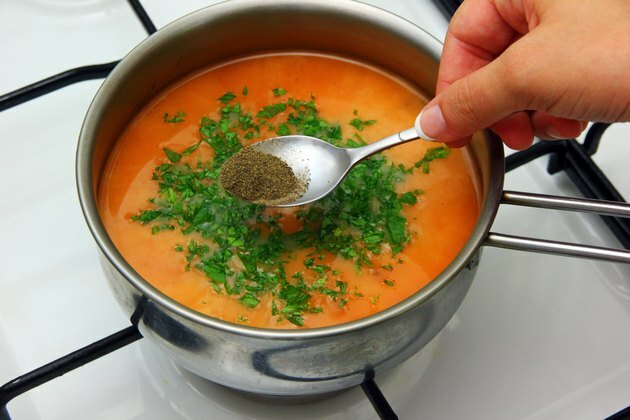 Instead, use a small spoon to add pepper to the cooking pot. 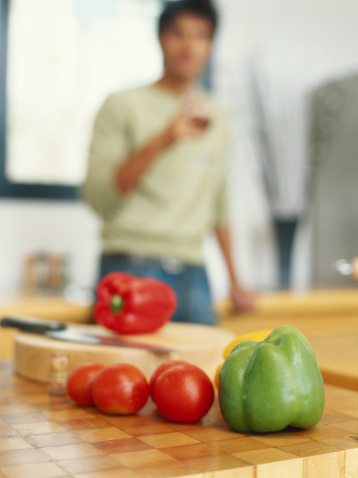 If your kitchen is humid, close the container immediately after using the pepper. 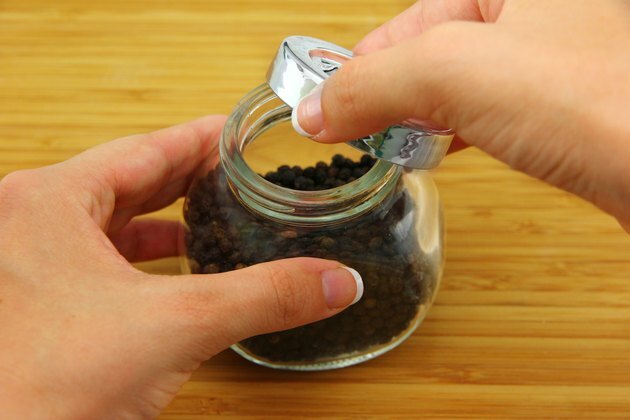 Check for freshness by rubbing a small amount of ground pepper, or crushing a whole pepper with the back of a spoon. Stale pepper has a weak aroma. Indigenous to India, black pepper has been used to season food for at least 4,000 years. Black pepper was among the first spices traded between East and West, and in some areas, pepper was used as currency, used to pay for taxes, rent and other expenses. In ancient Greece, pepper was so valued that the pungent spice was an important part of sacred rituals.